Heat,humidity stick around for a few days. Well, yesterday’s update didn’t fare well for the afternoon, but it was better for last night. Left unanswered were the “whys” for my thinking. They are equally important for the next few days, and today they’ve been working much better. Yesterday, the models were showing significant warming in the upper atmosphere – something we refer to as “building heights”. 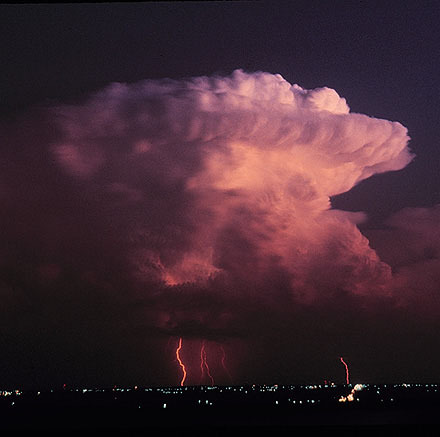 That process makes the atmosphere more stable and reduces the chances for thunderstorms to form. Secondly, when the upper air “builds” it forces the weak impulses farther north and east – essentially forcing them to go around the Ohio Valley rather than over it. So, instead of the almost daily upper impulses coming along a line from Iowa to Indiana to Kentucky (we’ve seen our share of these over the past two weeks), the building heights will push the primary path to NE Indiana to Ohio to West Virginia/east KY.
Obviously, it took longer than yesterday for this process to evolve, but it is firmly in place today and should build a little more for next few days. So, the result is more heat and less chance of rain, probably through the weekend and beyond. Current thinking from the GFS is for this to end by next Thursday. Friday: Partly cloudy, hot and humid…high…93. Rain chance: 10% Saturday: Partly cloudy, hot and humid…high…94. Rain chance: 10% Sunday: Partly cloudy, hot and humid…high…95. Rain chance: 10% Daily heat index near 100 each day. Nighttime lows in the mid 70’s. Solar activity has been weak lately, but still strong enough for some displays of the Aurora Borealis. 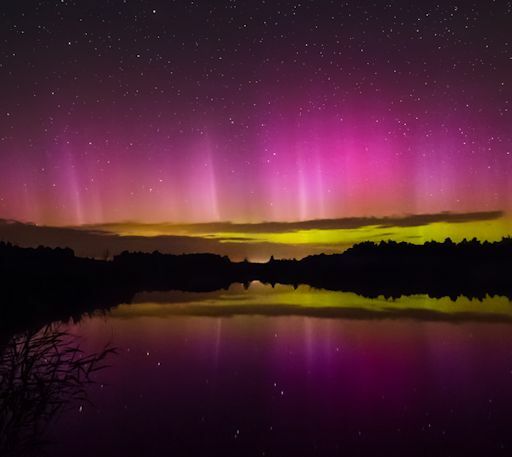 This example is from Lithuania, where auroras are pretty rare. It’s from www.spaceweather.com . This entry was posted in forecast on August 21, 2014 by wx.